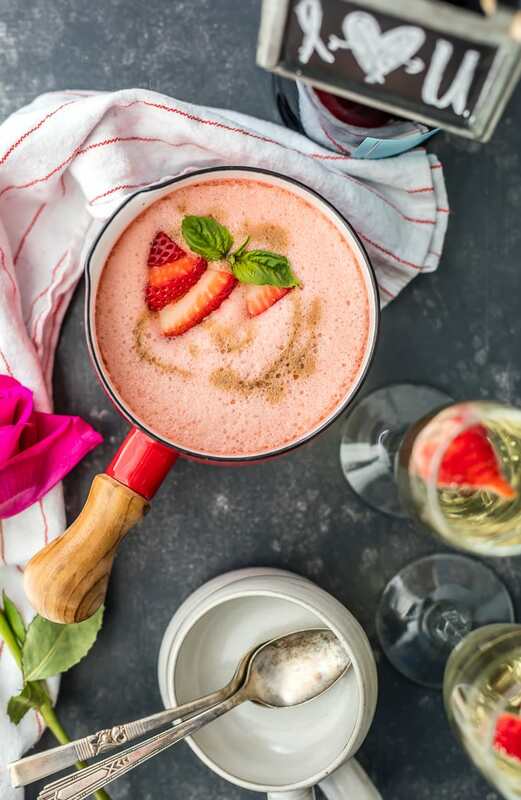 Strawberry Champagne Soup, served hot or as a chilled soup, is the perfect side dish or appetizer for Valentine’s Day, baby showers, bridal showers. 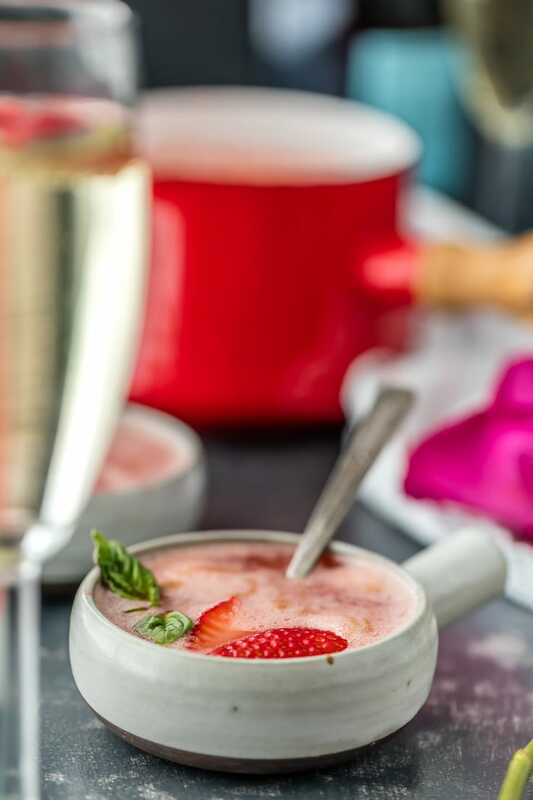 This champagne strawberry soup makes a fun and creative Valentine’s Day appetizer. The flavor is just perfect! Strawberry Champagne Soup is as tasty as it is pretty! 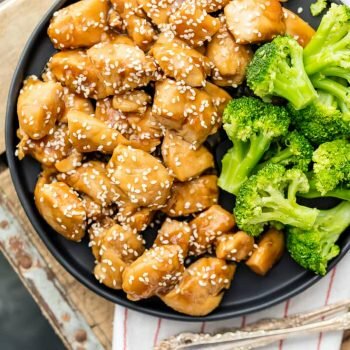 This pink dish is so simple, but sooo delicious. It can be served hot or cold depending on the situation, so it really is versatile. 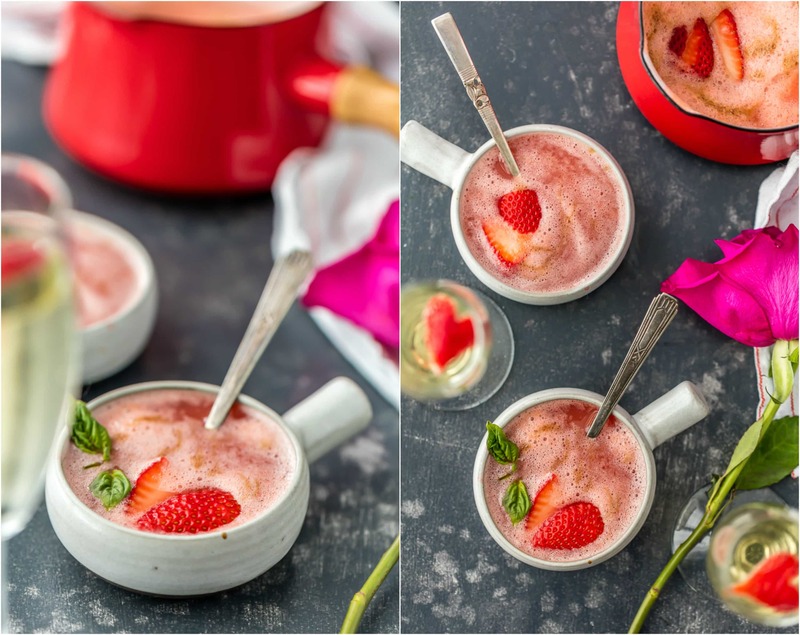 I think this strawberry champagne soup would be the perfect first course for baby showers and bridal showers; a beautiful Valentine’s Day appetizer or dessert; an easy post dinner treat; or a simple summer time soup. The blended flavors of champagne, strawberries, and the balsamic reduction is so unique and delicious. Make this hot or cold soup for any special occasion and enjoy! 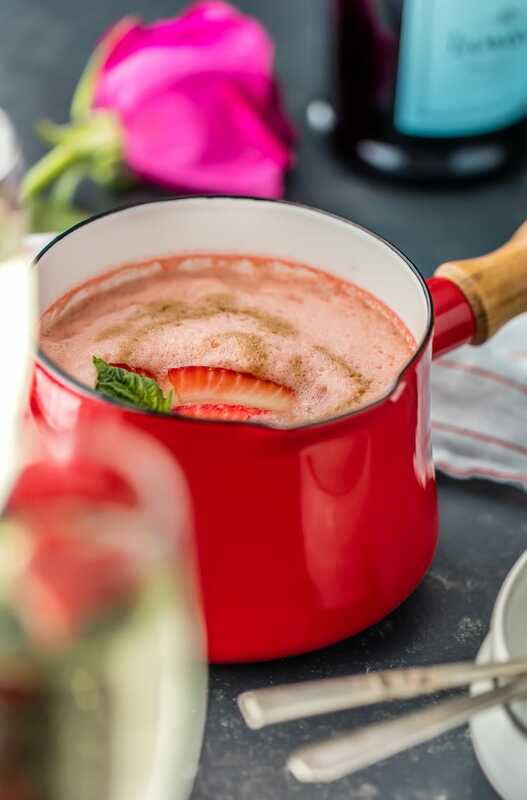 Celebrate Valentine’s Day with this beautiful pink Champagne Strawberry Soup! I found a similar recipe in one of my favorite new cookbooks, Saveur Soups and Stews. I have a serious cookbook addiction and this cook book is just full of SO MUCH BEAUTY. Every style of comforting soup or stew recipe is in this awesome book. When I saw they had included a recipe for Strawberry Soup with Balsamic Reduction, I knew I had to try it, tweak it, and post it. I just had to! I think the addition of bubbly champagne made it really special, and really brought it up a notch for special occasions. 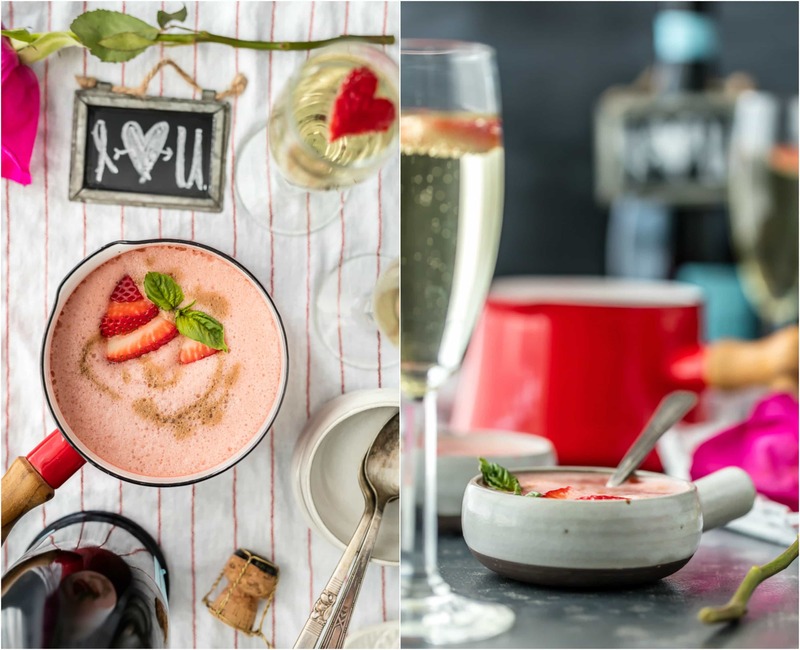 I love adding a little bubbly into recipes for Valentine’s Day, bridal showers, brunch, or New Year’s. And it fit in perfectly with this strawberry soup! Strawberries are the perfect pairing with champagne, and both make me think of Valentine’s Day. Whether you sip this soup or eat it with a spoon, serve it hot or serve a chilled soup, I think you are going to love it. Combine champagne, sugar, and water in a saucepan over medium high heat. Stir until sugar fully dissolves. When the soup starts to bubble, reduce heat and let it simmer for 2 minutes. 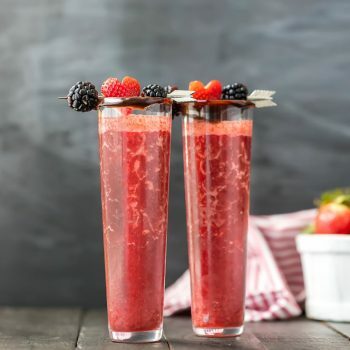 Pour it into a blender, add strawberries and salt, and blend until smooth. Pour the strawberry soup through a fine mesh strainer and back into the saucepan. In another pan, cook balsamic and the rest of the sugar for 8 minutes to make the balsamic reduction. To serve hot: serve the soup right away, with balsamic reduction drizzled over it. To serve cold: let it chill in the refrigerator for 1 hour before serving. 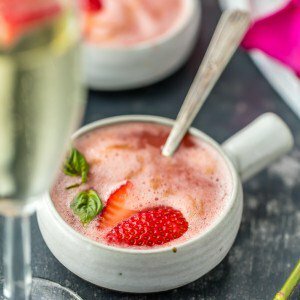 This champagne strawberry soup is so easy to make and tastes so amazing! 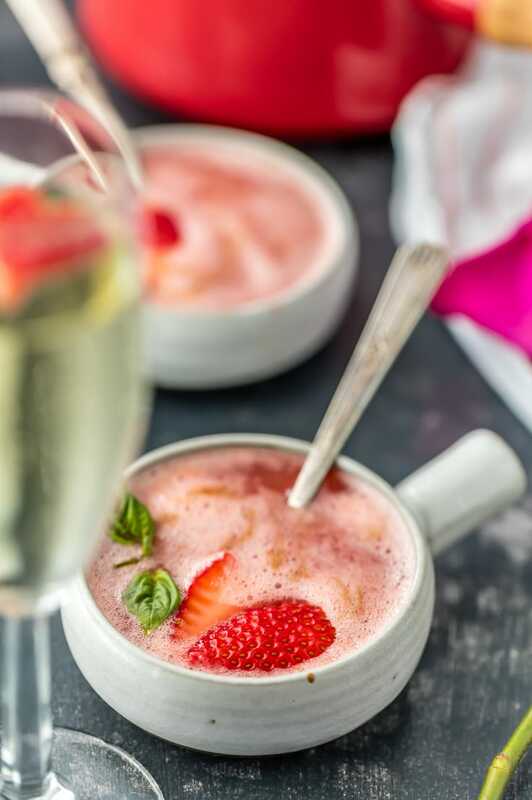 Let me know how you enjoy this Champagne Strawberry Soup! Serve it hot, serve it chilled, either way, I just know you are going to love it! 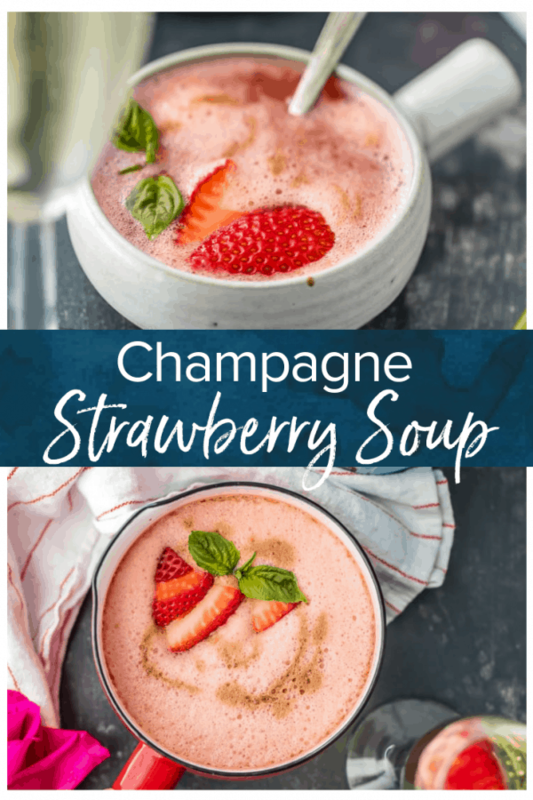 See the recipe card for details on how to make this Champagne Strawberry Soup. Enjoy! 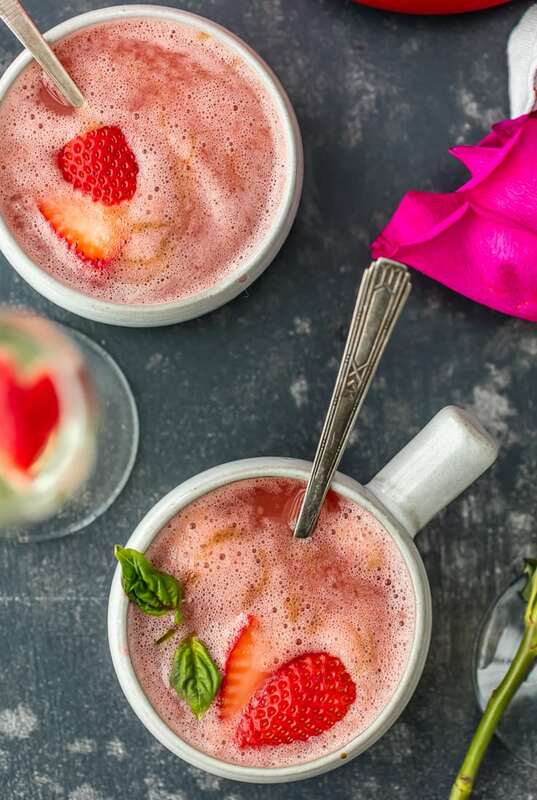 Strawberry Champagne Soup, served hot or as a chilled soup, is the perfect side dish or appetizer for Valentine's Day, baby showers, bridal showers. Combine champagne, 1 cup sugar, and 1 1/2 cup water in a small saucepan and heat over medium high heat. Stir to dissolve the sugar. Once bubbling, reduce to a simmer and cook for 2 minutes. Remove from the heat and pour into a high powered blender. Add the strawberries and salt and blend on high until fully pureed and smooth. Pour mixture though a fine mesh strainer and back into the small saucepan. Meanwhile, cook the balsamic and 1/4 cup sugar over medium heat for about 8 minutes until it has reduced slightly and become syrupy. If serving hot, serve the soup right away garnished with fresh basil, drizzled with 1 tablespoon of the balsamic reduction, and sliced strawberries. If serving cold, chill for 1 hour and then serve garnished the same way. My mouth watered. I love that you send calorie free treats to me directly to my inbox. am in love! This is simply amazingly beautiful! I drink champagne like it’s water. This will be made for our next romantic weekend for sure! I like your brunch in bed idea! Always a good way to go! This looks like a beautiful drink. This is a gorgeous soup! And I love it’s versatility! Perfect for a romantic Valentine brunch! This soup appears to be very, very sweet. At first glance I would think it is a drink…..very thin broth. Has anyone tried this? This is the most gorgeous soup ever!! Is it wrong that I just want to pick up that bowl and gulp the whole thing down? Love this idea!